1. Song Lyric Kitchen Towels - Okay so maybe I'm just super corny but I think these are hilarious!! There are 8 different ones and I would own them all if I could! What's makes it even better is that you can pick any color wording you want! 2. 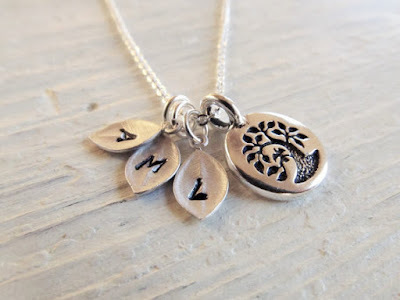 Silver Family Tree with Initials - This is perfect for a mom who just wants a simple necklace that signifies her children. As moms, we hold our children closest to our hearts, and now we really can with this sweet necklace. You can pick up to 15 leaves!! 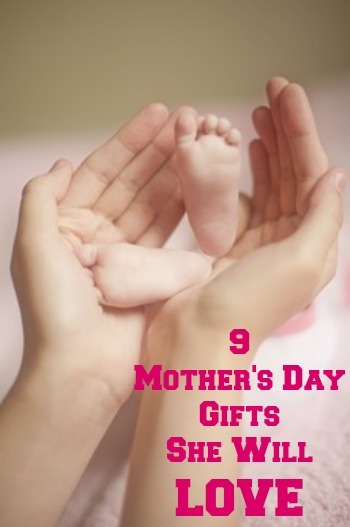 So maybe you want to give it to your Grandma who has handfuls of grandkids! 3. Mommy Established Stainless Steel Travel Mug - Honestly, my kids are the reason I have to drink so much coffee, so this is only fitting! I really like the simplicity of it with the nice touch of adding their birthdays on it, since they are the ones who made us a Mommy! 4. Mommy Juice Wine Glass - I love the phrase "Mommy Juice" because all of us moms have said that to our kids at some point, haven't we? "Mommy, can I have some of your juice?" 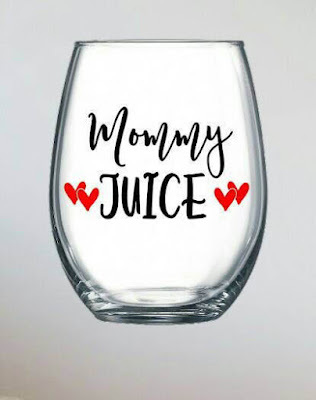 "No, sweetie, this is Mommy Juice". It never gets old. This stemless wine glass is just too cute. 5. Engraved Wind Chimes - I love the sound of wind chimes! I would love to just sit on the porch, with either my travel mug of coffee or mommy juice glass from above, and just listen to these. There's something about wind chimes that are just so relaxing. 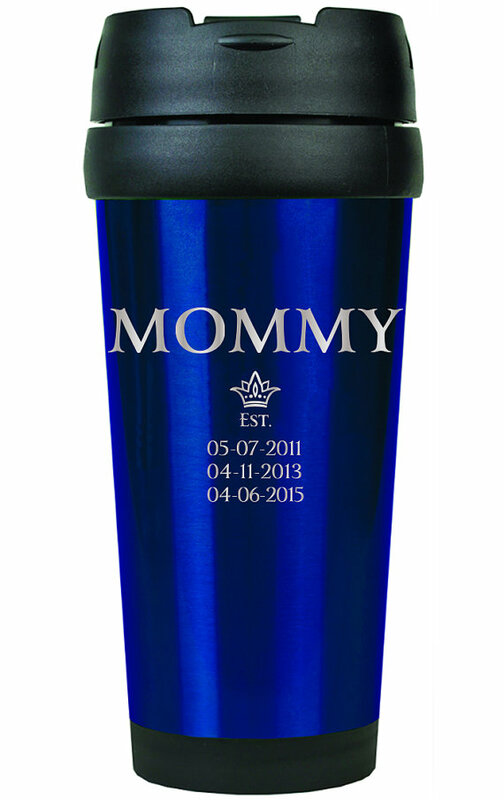 And as an added bonus, these can be engraved! 6. Wooden Heart Candle Holders - I love this candle holder. 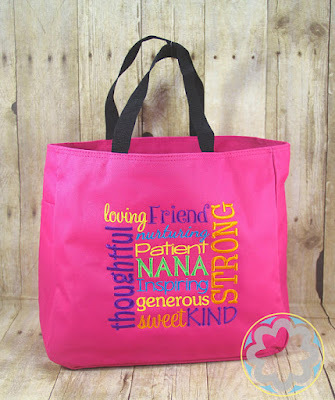 I feel like it would fit in with most decors and therefore be perfect for any Mom. 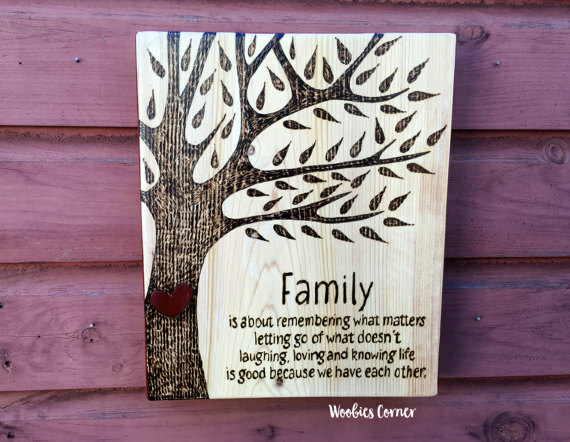 Even if you don't light it, because, you know, kids....it's still a beautiful addition to your home. 8. Monogramed Throw Blanket - During the winter, my family fights over blankets in my house. I would love to have a blanket that was just for me. And what do most moms love the most? Their families. 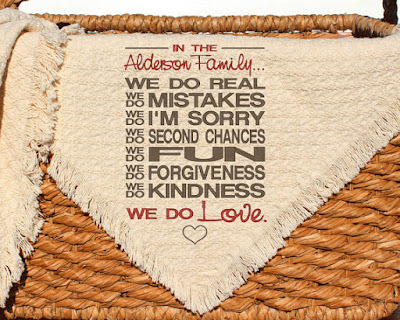 This blanket is perfect for just hanging out on the couch and cuddling with. I just absolutely love the saying on this one too! You can either choose a woven blanket (like in the picture) or a plush blanket. 9. 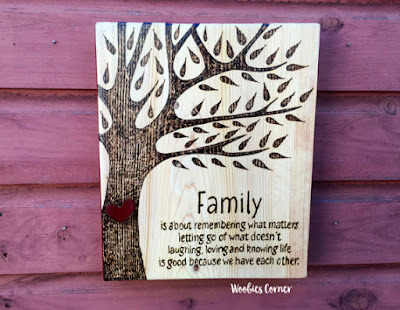 Wooden Family Quote Sign - There are so many cute "Family" signs out there but this one just jumped out to me. I think it's so cute and classic at the same time, and I love the saying on it as well. I would definitely love to hang this one up in my house! Do you have any more ideas that aren't on this list? I'd love to hear about them in the comment section below! That necklace is beautiful! I know that my mother would love a piece of personalized jewelry like that. It is so hard to buy gifts sometimes so ideas like there are really appreciated. Great post! Thanks for the list! What a wonderful collection! Great suggestions, I'm always trying to figure out what to get my mom, so these will definitely help. I love the personalized necklace. This is so cute and thoughtful. This post is perfect! I needed some inspiration. I especially love number two. That engraved glasses looks cute. Or maybe some new kitchen wares (highend!). These are all great ideas! My favorite is #6. 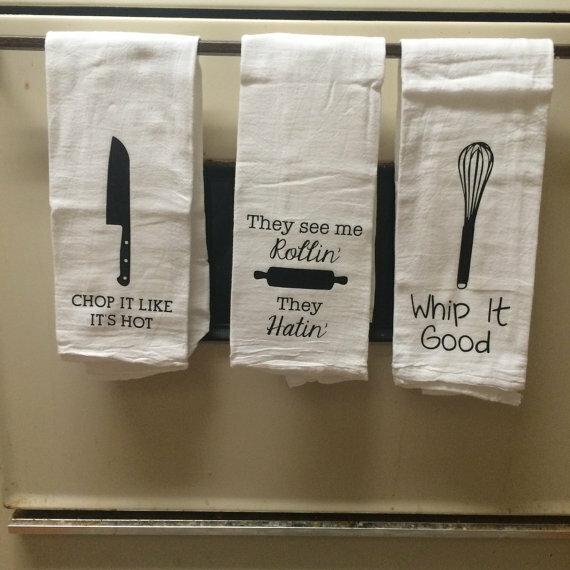 These aren't things that my mom would like, actually... but I would! XDDD I might need to get a few of these things. Gonna have to keep looking for my mother tho. Great list! 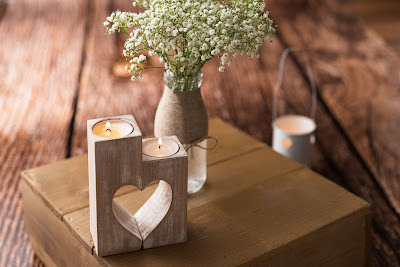 The candle holders are adorable with the heart! Such a good idea! 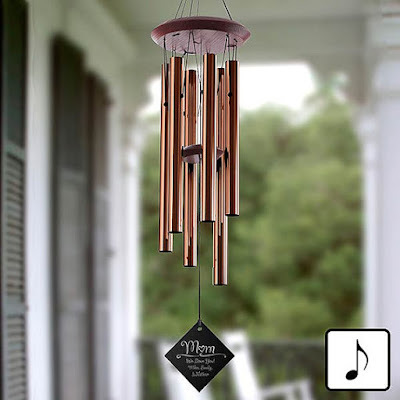 I really love the wind chime idea, we had those when I was a kid, and I loved sitting on the patio listening to them in the wind. What a great memory to gift my mom!